Your doctor may recommend surgery to remove the gallstones, or even to remove your gallbladder. Surgeons can perform gallbladder removal surgery, called a cholecystectomy, through open surgery, which requires a large incision in your abdomen, or a minimally invasive approach. 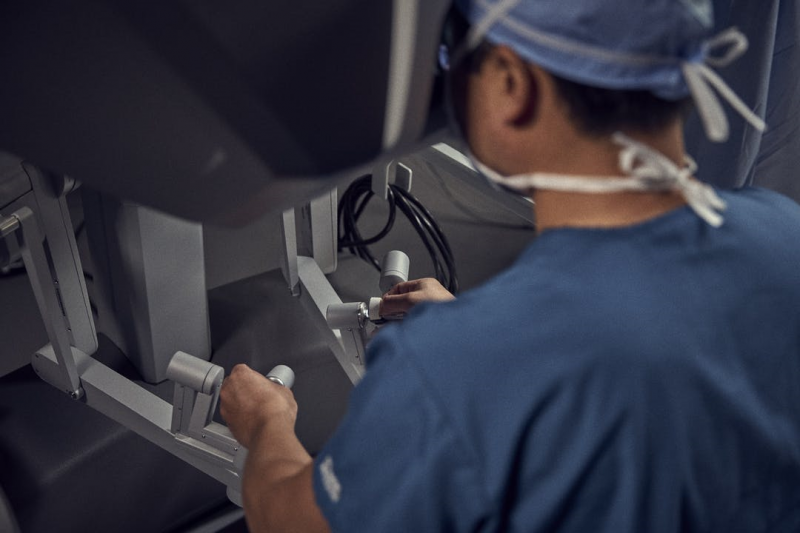 Today most gallbladder surgeries are performed through minimally invasive surgery1 using a laparoscopic approach or robotic-assisted surgery, possibly with da Vinci® technology. Doctors perform minimally invasive laparoscopic or robotic-assisted surgeries through a few small incisions or a single small incision near the belly button. To remove the gallbladder with laparoscopic surgery, doctors use special long-handled tools while viewing magnified images from the laparoscope (camera) on a video screen. Surgeons using da Vinci technology can remove your gallbladder through either a few small incisions (cuts) or through one small incision in your belly button using Single-Site® technology. During surgery, your surgeon sits at a console next to you and operates using tiny instruments. A high-definition 3D camera system with high magnification that provides immersive viewing of the gallbladder and surrounding area. Firefly® fluorescence imaging which offers visualization beyond the human eye by activating injected dye to light up and clearly show the gallbladder and surrounding structures, including the ducts. Da Vinci Single-Site® technology, which allows surgeons to make just one incision near the belly button, providing patients with nearly scarless results. All surgery involves risk. You can read more about associated risks of cholecystectomy here. What medical options are available for my gallbladder pain?